A small ball of deliciousness! Frozen chocolate balls. Almost like chocolate ice-cream! 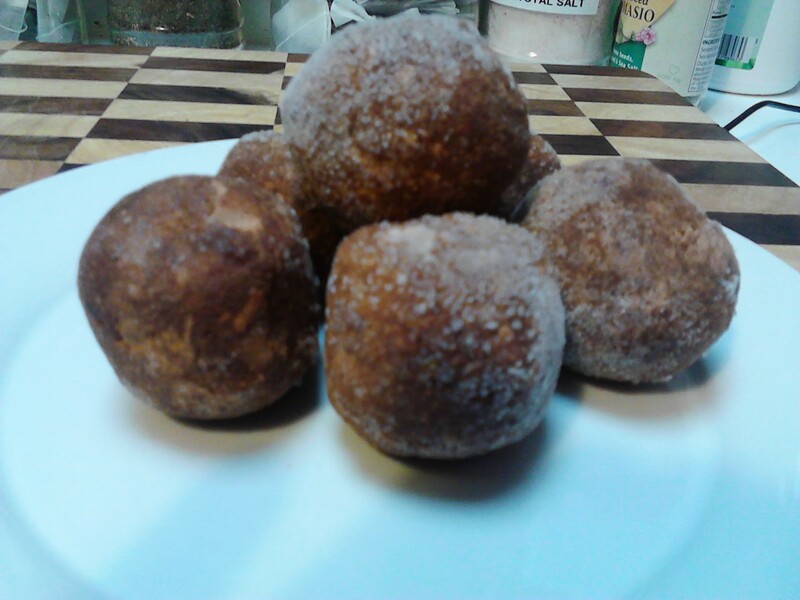 These little balls are very sweet and delicious. I have a few on the plate here but l would just eat one at a time. You can eat them when they are freshly made, but l like to keep my snacks in the freezer, and these taste quite like chocolate ice-cream (remembering that l actually haven’t eaten any chocolate ice-cream for a few years now). Place all of the ingredients in the food processor and mix well. 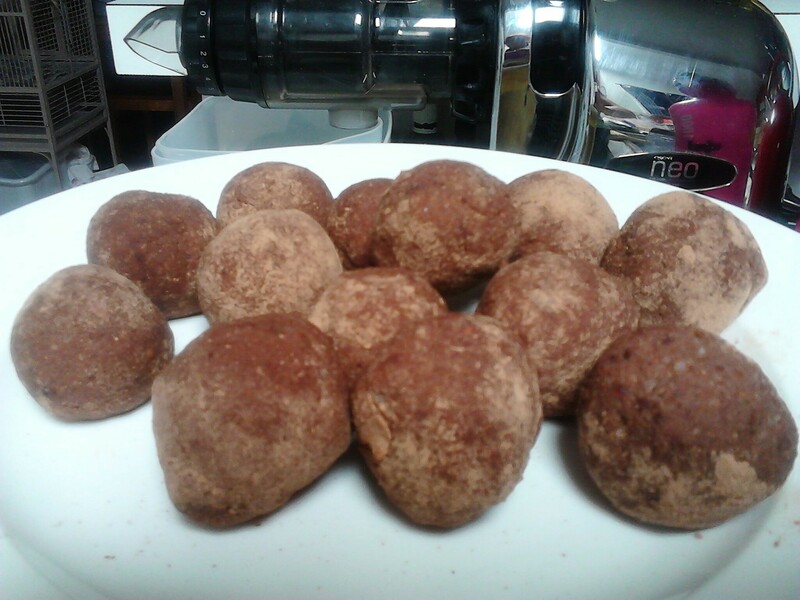 Roll into small balls and cover in raw organic cacao. I have had these in the freezer in an air tight container for a few months and they are still tasting great. When they are frozen they are still just soft enough to bite into and the flavour is a mix of coconut and chocolate. The dates and banana bind them together and they are jam packed full of nutrients as well as making you feel good because they taste so great! If you have enjoyed this post please share with a friend. I am also on Instagram, Facebook and Twitter where l share daily wellness tips and recipes.